Match Your Costume! Over 30 Colours to Choose From! Beautiful circular number clip in the crystal colour of your choice. Choose a colour to compliment your costume! We only use the highest grade Rhinestone crystals to create the maximum amount of sparkle (each clip has over 20 high-quality rhinestones). This design uses clear crystal Rhinestones so the reflection and sparkle stays true to the colour you choose. With over 30 colours to choose from you can get the perfect tone to enhance your costume and express your own personal style! 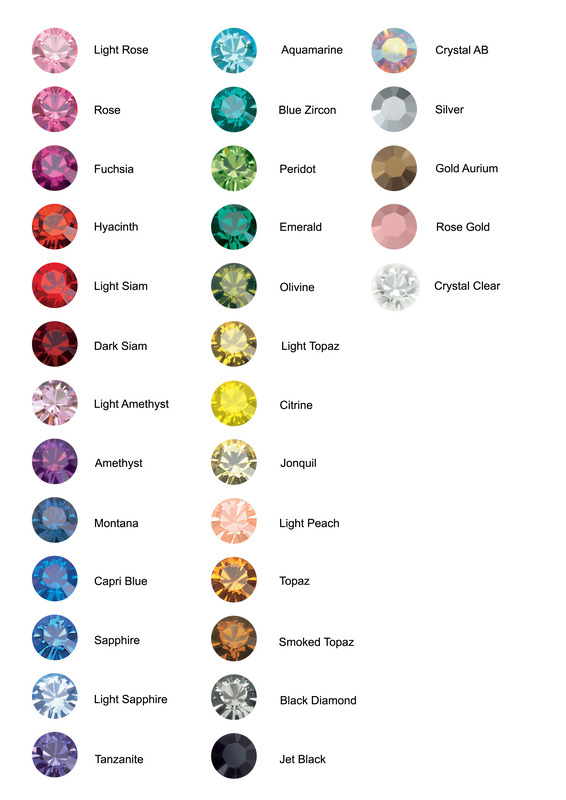 You can view all the Rhinestone colours available by clicking here. Please note that your customised competition number clip will appear as IN STOCK during check out. Please ignore this stock message as the number clip is made to your individual specifications so we ask you to allow 7-14 days for our designer to complete for you and for your order to be processed. If ordering other items which are more urgent we recommend you place a separate order for your number clip so we can dispatch any other items without this delay.